What is exactly One ASP.NET? There was a common question from all the corners, as a .NET developer what would be the project template that you are going to use for your web application. The answer would simply WebForms if the question was raised prior to the introduction of ASP.NET MVC. 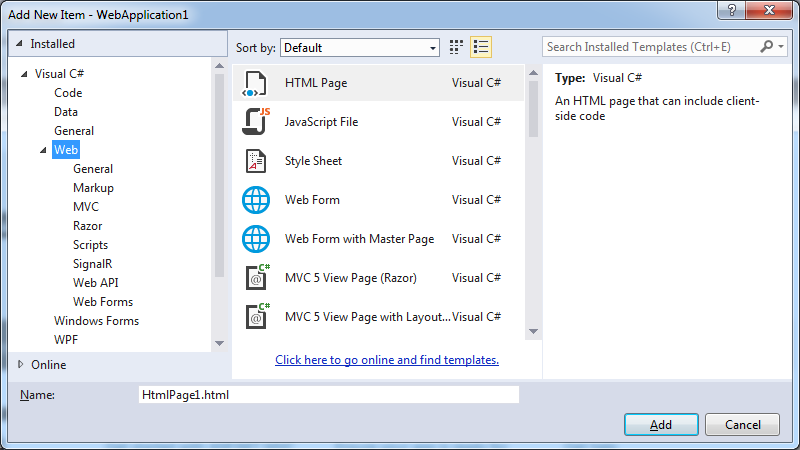 Since the release of the ASP.NET MVC Framework in 2009, the developers had a major choice to make when starting up a new project: Web Forms or MVC? What if I want to use both? What if a third choice comes along like Web API, SignalR ? 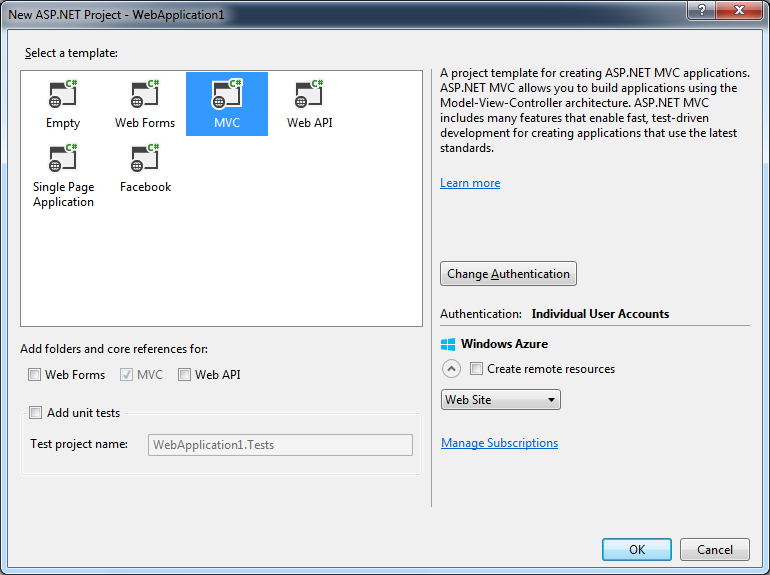 Microsoft has finally brought these components all together, and the result is One ASP.NET. One ASP.NET helps in Unified Dialog and made the web app to use Web Forms , Web API, MVC together, and also came with some cool Scaffolding features etc. 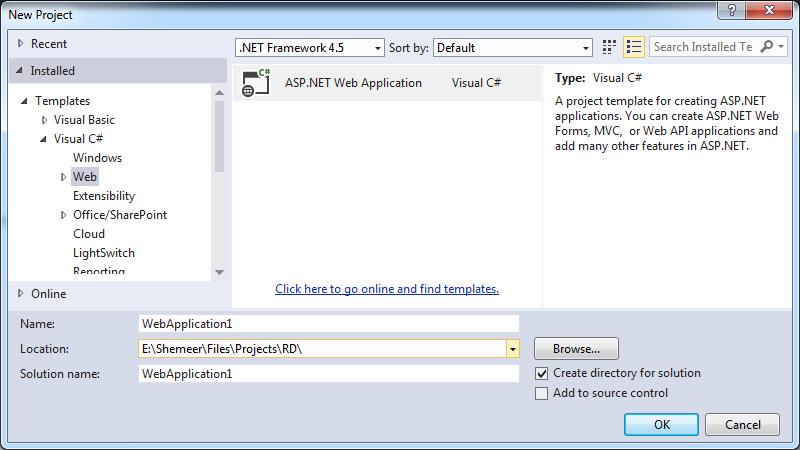 Starting with Visual Studio 2013, there is now only one web project type in Visual Studio. When you choose this project type to start with, you will be propmpted with additional configuration options begin working with your project. If you look closely, you’ll see a new set of check-boxes which will allow you to include the folders and core references for other technologies outside of the major one that you selected. As per your project template and checkbox selection all the necessary configuration and directories will be done for you automatically. Now when you attempt to add a new item to your project, the options lists just about everything you could think of. You might be interested in video “Introducing One ASP.NET” by Scott Hunter. You can simply take down an ASP.NET 2.0 or later application offline temporarily by uploading a file called App_Offline.htm in the root of a web application directory. While the App_Offline.htm file exists, any requests to the Web site are redirected to this file. The file displays a friendly message that tells clients that the Web site is being updated or down due to some reasons. When all Web site files have been copied, you can delete the App_offline.htm. Once removed, the next request into the application will cause ASP.NET to load the application and app-domain again, and all things will continue to work as normal. Note: Always make sure that your App_offline.htm page is at least 512 bytes by adding filler tags or hidden text or comments as In Internet Explorer if “Show Friendly Http Errors” is set to true, and a server returns a non HTTP-200 status code with less than 512 bytes of content, IE will not show the returned HTML and instead substitutes its own generic status code message. In IE6 “Show Friendly Http Errors” is set to true by default.